Have pets in your house and need a powerful vacuum? 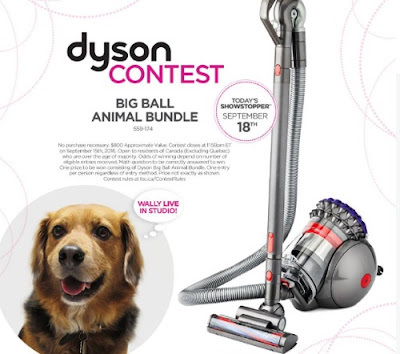 The Shopping Channel is giving away a Dyson Big Ball Animal Bundle! Click on the linked post below and write a comment to enter the contest to win this prize valued at $800! Contest closes September 15, 2016. Excludes Quebec.